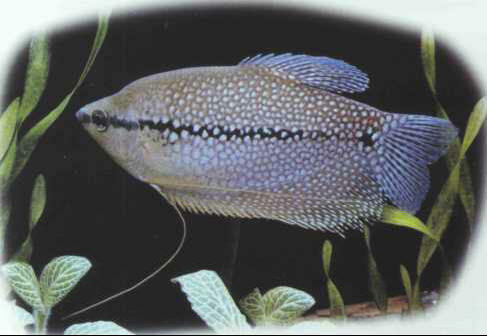 The male of the peaceful pearl gourami has a more pointed dorsal fin than the female, which can lay up to 1,000 eggs. The fry are slow to develop. Size: 13 cm.